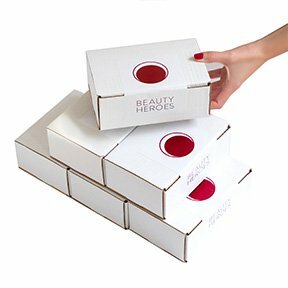 Beauty Heroes delivers beauty you can trust, one Hero product at a time. Our philosophy of Use Less. Love More. is a disruptive concept that ensures we're delivering only the best in clean beauty, so you love more of what you use, and use less of what you don't. We don't believe in rushing rituals. We want you to take time to discover, savor and fall in love with your beauty. One full-size product, plus deluxe sidekicks, for an immersive experience. 15% everyday in our Beauty Store, so you can buy what you love, when you want it. I just wanted to say congratulations on creating such a beautiful company. Everything comes across as very thoughtful and full of pure passion. It's so refreshing to see a company dedicated to such beauty in every aspect. I love the letter you wrote at the beginning of this year and all that you mentioned really resonated with me. You have such great energy and it fully comes through in everything you do. Thank you for being you and for all that you've accomplished while staying true to yourself. It's an inspiration to us all. I love Beauty Heroes! Beauty Heroes is the only box I subscribe to for myself because of that, and I just want to express my truly deep appreciation. You have no idea how refreshing it is to not only have a wonderful product service out there that I can actually enjoy, but to have it backed with people who are sensitive and do their best to be accommodating means the world. I just want to say fantastic job with this month’s box. Every month I am blown away with the quality of the products and the thoughtfulness that goes into it. High five! And the customer service is just unreal. I work in customer service as well and really value a pleasant experience. I have been on a mission to find products that are natural/organic/non-gmo to consume and soak in from the outside. Then around my birthday in December, I found Beauty Heroes! Thank you for putting together such an amazing and extremely thought out box. Thanks so much for all that you do! I will continue to be a lifelong subscriber! And just so you know, thanks to you and your message, I have changed so many habits from food choices to household cleaning products...and I owe that all to you!!!! You are awesome! I just wanted to send a quick note - I just got the May and April products, and I am so happy! You have a really awesome company, the products are amazing, and I love how you package them! I was looking over the shop, and all I can say is I wish I'd joined sooner! There's so many products there that I've been eyeing - particularly the Laurel Antioxidant Serum. I have been wanting to try a subscription to Beauty Heroes for a while. I am really happy with the quality of the products in my first box and I feel like I have already gotten a great value with Beauty Heroes, and I still have 2 more months of boxes. I can't wait to see what's next. I will definitely be renewing this subscription!! Thanks Beauty Heroes!! I got my first box last month, this is my favorite subscription box! Hands down! Members receive their Beauty Discovery natural beauty subscription box the first week of each month, or when they subscribe. 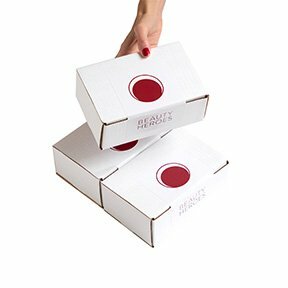 Monthly beauty subscriptions purchased after the 20th of the month will receive next month's selection as their first delivery. Please read our FAQ for details on our flat rate international shipping rates and see everywhere we ship. Subscriptions to Beauty Heroes automatically renew. You can conveniently edit or cancel at anytime from the main page when you login to your Beauty Heroes account. If you need assistance, email us at [email protected], we're here to help. Hero On!